In this guest article, golfer Craig Sigl writes about the problem of consistency in golf. Being able to achieve the same quality of play, time after time has as much to do with the mental game we play in our heads as it does with the physical game we play on the golf course. Fascinating stuff. Picture yourself standing on the tee box of your favorite short 4 par. You’ve got your driver in hand. This hole is designed with risk-reward written all over it. If you hit it long and straight, you can get very near or maybe on the green with your driver to set up for an easy birdie. If you mis-hit it, you are looking at hazards or o/b and a balloon score. Still, I am determined to drop 10 strokes off my game before the end of this season. Sound impossible? I don’t really think so. It’s no secret how to do it. I need to crank up my short game. Because, after all is said and done, the idea behind playing golf is to have fun and if taking chances on the golf course and sometimes beating the odds is your idea of fun, who’s to say that you are wrong about that? Myself, I’m more interested in playing for score than going for broke, but hey, that’s just me. I will support anyone anytime who wants to go for the difficult tee shot with the possibility of pulling off an unbelievable shot as long as they are willing to gracefully accept the consequences of missing it . Greg Norman disputes this old saw by saying in his book SHARK ATTACK: “Don’t ever sell me on that line. If you can’t put your tee-shot in play, the smoothest stroke in the world won’t help you enough. To my mind, the most important shot in golf is the drive”. Do you feel better now? I do, because he isn’t the only one who has made these types of remarks about driving. Furthermore if you really think about it, the importance of the driver and getting off the tee safely with some distance is probably greater for higher handicappers than the better golfers as the larger portion of their shots are spent in just getting to the green. So what can we do about it short of another set of golf lessons? Plenty! Start off by getting a new driver, plain and simple. The new technology is light years ahead of the #1 wood of just 3 years ago. Also, we must be able to direct our mind so that our brain and muscles are in sync and harmony in successfully pulling off this very violent of sports acts with the driving tool. How to do all of that? We must first understand how our DESIRE to hit this little white golf ball is translated into the correct contractions of muscles in a timing sequence that moves the driving club in the direction that will contact the ball squarely and with great force to achieve the outcome we want. The last time you rode a bike, did you have to say words to yourself to get your leg to push on the pedal? Did you have to tell yourself that you now have to balance yourself with a thousand small muscles all acting independently? Did you have to tell your left arm muscles to contract and your right arm muscles to release contraction in order to make a left turn? Of course not! You just thought very quickly with your conscious mind what you wanted to do and then it turned the accomplishment of that desire over to the subconscious mind. The subconscious then made it all happen. This is no small feat to send a zillion electrical impulses out in a precise order in order to cause another zillion muscle fibers to contract or relax at the perfect time. This is the wonder of our bio-computer called the BRAIN. Our subconscious mind controls all of our involuntary (don’t have to think about) functions like breathing and heart rate but it also runs extremely complicated physical motions as long as it has been taught how. Hitting the driver is at the height of complication for the golf swing since we are expecting maximum force and speed coupled with keeping precision. After all, we could have pretty good precision when we have a 1-foot putt right? And we can lift our heaviest weight when we aren’t concerned with whether or not we are going to drop it or not. We intuitively know that the harder we exert force on something, the less precision we have in that act. When using the driver in our golf game, we must realize a few key points in order to maximize our efficiency on the tee box. 1. The subconscious mind is the expert at swinging the driver, not the conscious. If we have hit a great drive in the past, then our subconscious mind knows how to do it again. It knows the correct number and sequence of muscle contractions and nerve impulses required to repeat that great drive. All that is required is a clear communication of the desire to the subconscious mind. This is achieved with visualization prior to the actual swing. 2. The conscious mind tends to get in the way and must be given something to do to keep busy so that it doesn’t interfere with the subconscious mind’s work. Once the desire has been communicated, you should think something simple during the swing like maybe singing a song or, a simple count of the actions of the swing as they are happening (ie 1.backswing, 2.top of swing, 3. forward motion, etc.). Or continue with the visualization of the ball flying exactly as you planned it in the middle of the swing. Or, you may be able to utilize self-hypnosis and concentrate directly and solely on that ball to put yourself in a zone-like state for the duration of the swing. Many golfers do this without even knowing it but it can be developed further with knowledge and effort in this area. (my website has free ebook on this). 3. There is a point of exertion of force on the driver that if we go beyond it, then our probability of keeping our precision is drastically reduced. This falls under the Law of Diminishing Returns and is best explained by this analogy: how many cooks can you put in a kitchen before they start bumping into one another and actually start reducing their output as that number is exceeded. This point is different for everyone, but, most importantly: This point is at LESS FORCE than you think for most golfers who have trouble with their driver. In other plain terms…hit it solid first and then harder second. Everything written thus far was with the intent of convincing you of this inescapable fact of hitting the driver. If you aren’t convinced, then you won’t take action. The actions required don’t take any of your time but they do require consistent effort throughout your day. Golf is unforgiving to the lazy person but generous to the focused one. So, make every effort this month, or this week if you have an upcoming round you want to get ready for and repeat to yourself (communicate with your subconscious mind) that you first and foremost always hit the driver square and on the sweet spot. Say it to yourself at least one hundred or so times in a week (this is a lot easier to do than you are thinking right now). Picture in your mind what it would look like, how it would feel to have your drives go straight every single time. Zoom in on your driver about to make contact with the ball in your mental movies. Do this everywhere, anytime, but especially before falling asleep. Keep doing it on a consistent basis. Isn’t that what we are striving for in golf – consistency? We have to build it into our way of thinking for it to happen out on the course. There are many ways to effectively communicate with your subconscious mind. Basic affirmations and visualizations just described is the simplest. Once your subconscious accepts the idea as internal truth (and it must if you are persistent in convincing it), you will see dramatic improvement off the tee. 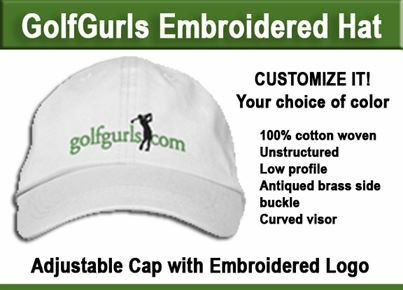 Visit Craig Sigl’s website at: It is dedicated to score improvement for golfers with little time to practice. Download free ebook “How you can play better golf using self-hypnosis”. 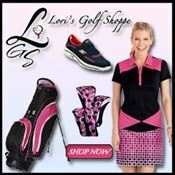 Sign up for ezine “The Very Busy Golfer.” Articles on golf equipment and free golf games. Bad News for New Golfers: The Game Of Golf Is Only For Experts! - So How Will You Ever Succeed? ← Losing Power in Your Golf Drive? Here’s The Secret To Get The Power Back!